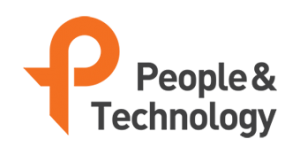 The World Class Real Time Location and Smart Sensing Solution Provider, People&Technology Co,Ltd has confirmed to supply IndoorPlus+ RTLS Solution to Hanwha Techwin Aircraft Engine Smart Factory(http://www.hanwhatechwin.com/). Hanwha Corportate Group is accelerating the construction of a smart factory using industrial IoT solution. Hanwha Techwin’s new factory for aviation engine part is constructed with a total area of 13,752 square meters. In order to double the competitiveness of the aircraft engine business in the global market, Hanwha Techwin has been reviewing various RTLS solutions since February this year for efficiency, productivity and timely production of manufacturing processes. With this deal, it shows that IndoorPlus+ RTLS is the most optimized solution for the core module of smart factory such as engine parts position tracking and each process needs time check, even in tough industry environment as like various steel structures, chemical process etc. Among the various elements of smart factory, process optimization through Logistics Tracking and Flow Optimization are one of the most important modules. We, People&Technology Co.Ltd will always keep up doing our best to increase customer satisfaction and customer value.